Are food dyes harming you? 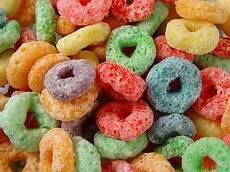 Kool-Aid drink, Fruit Loops cereal, jelly beans, M&M chocolates, Jell-O gelatins and many other commercial foods, candies, medicines, and cosmetics are loaded with food dyes. At home, we use food dyes for Easter eggs, cake frostings, and cookies. What are these dyes doing to our health and the health of our children? In the early 1970s, scientific studies raised questions about the safety of Red Dye No. 2. The Toxicology Advisory Committee of the FDA evaluated numerous reports and decided there was no evidence of a hazard. The committee then asked FDA to conduct follow-up analyses and they concluded that FD&C Red No. 2 at a high dosage resulted in a statistically significant increase of malignant tumors in female rats. Red Dye Number 2 was banned by the FDA in 1976. In 1993, John E. Bailey, Ph.D., acting director of FDA's Office of Cosmetics and Colors said that food colors were "very" safe because by law, industry must prove the safety of the colors that it sells. But are these dyes really safe? For some time, evidence has been accumulating that food dyes are not really innocuous and can affect sensitive individuals. Children seem to be more at risk. In one experiment, forty children were given a diet free of artificial food dyes and other additives for 5 days. Twenty of the children had been classified as hyperactive and the other 20 were normal. The children were then given doses of 100 or 150 milligrams of FD & C approved food dyes or placebo. On the day that the hyperactive children received the dye their performance was impaired relative to their performance after they received the placebo. The performance of the nonhyperactive children was not affected by the food dye. Another study found that 40 children out of 220 suspected of hyperactivity improved after a 6 week trial of the Feingold diet which eliminates artificial colors, artificial flavors, aspartame, and some preservatives. Children who had shown the greatest reaction to the dyes had behavior problems that featured extreme irritability, restlessness and sleep disturbance, rather than attention deficit. A study published in 2007 also concluded that artificial colors or a sodium benzoate preservative (or both) in the diet result in increased hyperactivity in 3-year-old and 8/9-year-old children in the general population. Eliminate foods with artificial dyes from your home. You may find that you and your children can think more clearly.